OKLAHOMA CITY (AP) – An environmental organization is criticizing an Oklahoma utility’s request to increase rates after spending more than $600 million on equipment designed to reduce emissions. The Oklahoma Gas & Electric Company is updating coal-fired units at the Sooner Power Plant and the Muskogee Power Plant to comply with federal regulations. 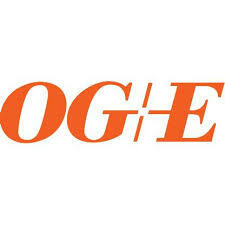 The utility is now seeking a nearly $78 million annual rate increase to “recover its investment.” OG&E says the typical residential customer would see a $7.60 monthly increase. The Oklahoma Corporation Commission is considering the request. The Oklahoma Sierra Club has criticized the move, noting that the company’s plans to update the Sooner plant were twice denied approval in recent years by the commission and the courts. The nonprofit also criticized the utility for purchasing an additional coal-powered plant instead of seeking cleaner energy options.